This week on the show, we are back from a week off and ready to talk about more movie news and reviews. 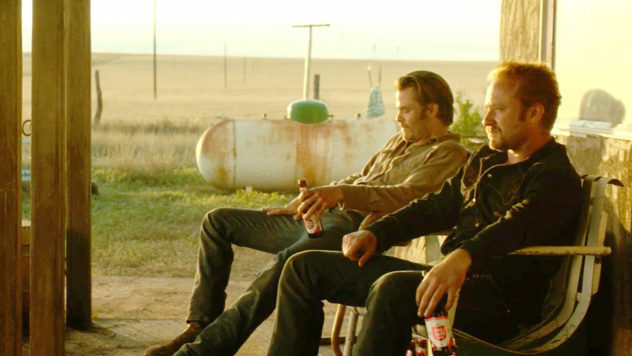 In Film Roulette, Greg and Casey were winners and they chose to watch the sun-baked crime thriller Hell or High Water and the Max Landis-penned Mr. Right. Then, Dan cozies up to Netflix and watches the Kevin James joint True Memoirs of an International Assassin. All of this before they listen to a listener-suggested album by the band Five Alarm Funk. But first, we are talking about the movies and TV we watched this week (The Monster, Little Men, Scrooged, and more) plus listener-suggested movie news topics and a brand-new trip down to Orange You Glad It’s The O.C. with a recap of another Season 1 episode!